TnT's Custom Screenprinting specializes in Automotive designs, Souvenirs, and Transfers. We can coordinate a show for you. 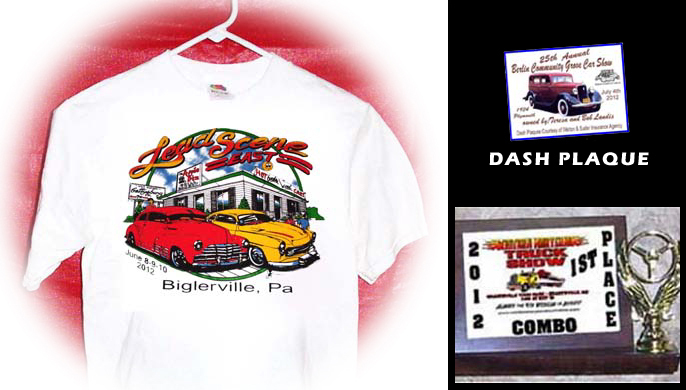 We can do digital imaging and souvenirs as well as custom printed shirts at your show. We can provide an event shirt for your show. We can supply you with all your show needs including event shirts, staff shirts, dash plaques, souvenirs and awards. Please ﻿contact us﻿ with your questions.